According to the Facebook page of the Blackpool Police, they’re looking for a thief that looks awfully familiar. As it is often said, no-one told you life was going to be this way. According to the internet, the Blackpool constabulary is seeking one individual who stole a slab of beer (or something of an unknown nature) from a local restaurant. 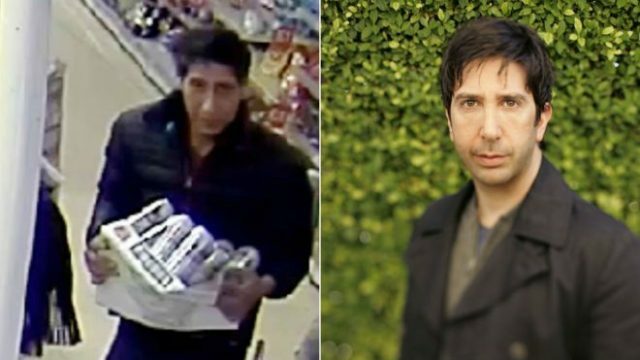 Now it seems that it’s fairly long odds that it might actually be David Schwimmer, but let’s not immediately rule it out. Motive may exist. Acting, after all, is a fickle business, and it’s not unfair to assume that one might need to get thrifty between jobs. That, or he’s going the full Stanislavski and going method to get under the skin of his next role. That, or, he’s guilty. However, the seemingly infinite budget of the Blackpool police was able to confirm that whoever it was, it certainly wasn’t that dude who gaslit Rachel. I’ll be there for you, Blackpool policeman…if you choose to lock this lot up.